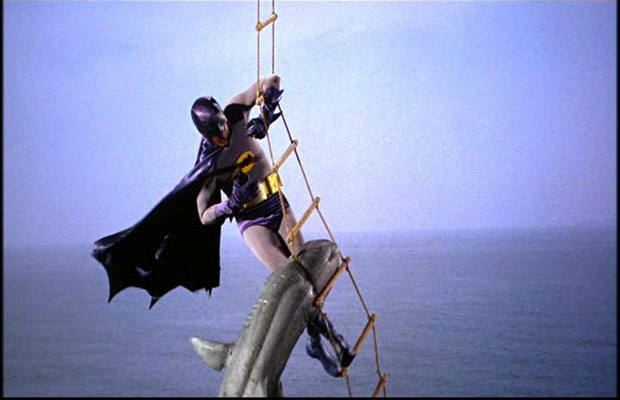 Even though it only appeared once, the Bat-Shark Repellent has become one of the most famous gadgets in Batman lore. Used to get rid of a very random Great White that was dangling off of his leg, this spray saved the Caped Crusader from certain doom in his big screen debut. Now why exactly did he have this bizarre tool on him at the time? Beats us. The more pressing question we're asking is why did he have so many cans of it in the Bat Copter? One thing you can say about the dude; he’s always prepared.